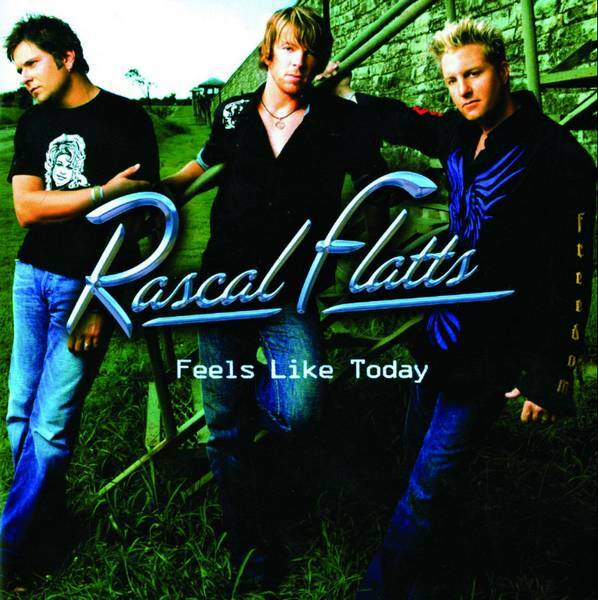 Skin (Sarabeth) was a "hidden" 12th track on Rascal Flatts' hit album, "Feels Like Today." When the song became a hit in its own right, the record company added the track to the songlist. Joe Henry, a Roaring Fork Valley poet, lyricist and author, is not exactly a public figure around Aspen, at his own insistence.He is, however, an internationally renowned songwriter whose works have been performed by many instantly recognizable artists.Henry’s list of writing collaborators includes such names as Burt Bacharach, Garth Brooks, Rodney Crowell, Vince Gill and John Denver. Recording artists who have performed his works include Bobby Darin, Roberta Flack, Emmylou Harris, Wynonna Judd, Patty Loveless, Kenny Rogers, Frank Sinatra and, of course, John Denver. His novel-in-progress, “Lime Creek,” has spawned stage performances in Aspen, Denver, Nashville, Tenn., and other places, by actor Anthony Zerbe and others. Around town, however, Henry keeps a deliberately low profile. Still, every now and then he emerges from the solitude of his home for specific purposes. This Christmas season he spoke with The Aspen Times about how a personal tragedy gave birth to a national musical phenomenon.This year, his latest song made it to the top of the nation’s country music charts, in spite of its initial status as a “hidden track” on the hit CD from Rascal Flatts, “Feels Like Today.”The song, entitled “Skin (Sarabeth),” was co-written in summer 2003 with one of Henry’s longtime collaborators, Doug Johnson, in Nashville. It is about a young girl undergoing cancer treatments and her concern that nobody will invite a bald girl to the high school prom.Without giving anything away, it is safe to say the song is upbeat in nature and has an unexpected ending that tugs powerfully at the heart strings. Johnson, who knew the producer for Rascal Flatts, played it for him one day and the producer “got all choked up,” Henry said.When the band heard the song, they, too, were moved and wanted to put it on the CD they were recording. But they already had 11 songs, the number called for in the recording contract for the CD.”They really didn’t know what to do with it,” Henry recalled. The band, according to a 2004 story in the Chicago Tribune, told a reporter that “Skin” didn’t fit thematically with the other songs, so they hid it at the end of the last song on the playlist; the opening notes of “Skin” begin after a stretch of silence following the last song, “Oklahoma-Texas Line.”The buzz about “Skin” began soon after the CD began playing on the nation’s airwaves. Chicago radio host Ray Stevens told the Tribune that he discovered it when his wife was playing the CD in the family car and let it run after the last song while she talked with her son.When she got home, she told Stevens of the hidden song, and soon Stevens’ phone at the station, WUSN, was ringing off the hook with calls from fans insisting that he play it on the air.Band member Gary LeVox said the band was deeply affected by the song in part because some of them had lost relatives to cancer, “So we’re really in touch with just how much of a demonic disease it is.”In keeping with this sentiment, the band in September of this year donated the proceeds of a concert in Nashville to the Monroe Carell Jr. Children’s Hospital at Vanderbilt University, which cares for a large number of children suffering from various forms of cancer.The donation reportedly amounted to $600,000 – $350,000 in concert proceeds and an additional $250,000 from the band’s record label, Lyric Street Records, and its parent company, Disney. Henry beams at the idea that his song might have saved the life of “just one child” stricken with cancer. Responding to pressure from the song’s growing legion of fans, the record company ultimately recut the CD with “Skin” formally listed as the 12th song, after the song had hung steadily on the national country music charts for five months.Back in Aspen, Joe Henry recently decided to emerge from his solitude to discuss the song, its origins and its effect on him, “because it’s touched so many people.”He explained that the song was written in tribute to the strength of character shown by the late daughter of a friend, who more than a decade ago died of a rare form of childhood cancer at the age of 5. Henry was present at the home of the family in the week after the girl, Colette, was born, and he was with the family within hours of her death.The song, he said, came into being at a Nashville songwriting session, after Johnson offered the line, “Marybeth is scared to death” and Henry thought instantly of Colette. Some time later, after much of the song had been written, he met a long-lost friend named Sarabeth in a checkout line and, as they talked, he pondered the similarity between her name and the name of the girl in the song.